For all of the friends & family time I've had this week! Being able to watch beautiful fireworks last night - and if I wanted to - right outside my window. White fireworks are my favorite! Keeping a positive attitude in crummy situations. Beautiful weather ALL week and no crazy waves in the ocean...love when it's flat! Having even just a little bit of alone time and time to unwind after a 15 hour day...even if it's just 15 minutes right before bed. Painting my toe (and finger!) nails red, white, blue & white "stars" on me...and then V's sister, aunt, grandma, and cousin doing it too :) Love bonding time like that! Of course we still love you :) Love how festive your nails sound! Hope you're getting some rest in, friend! You're been working so hard! I love your festive nail! Such a fun idea! Aren't white fireworks so pretty! I feel the same...just like white Christmas lights are my favorite!! 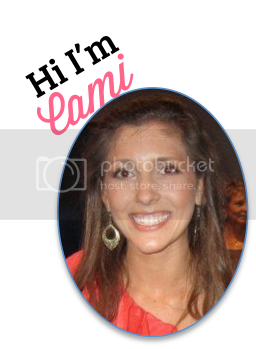 You are one hard working lady, Cami! I'm glad you got some time to yourself after a long day! I hope the rest of the week treats you well, pretty lady! Love the mani! Sounds like you had a very nice 4th! I love all the matching toes! Will be praying for your mom, I hope the injury isn't serious!! Glad you've had a wonderful week! Cannot imagine not loving you.....ever. :) And everyone's entitled to good and not so good days. Hope things are going better....love the cool nails....wishing you a beautiful rest of the week.....you are the best Cami.. Your toes look super cute, and I will be praying for your momma. Love the toes! Praying for your mom!